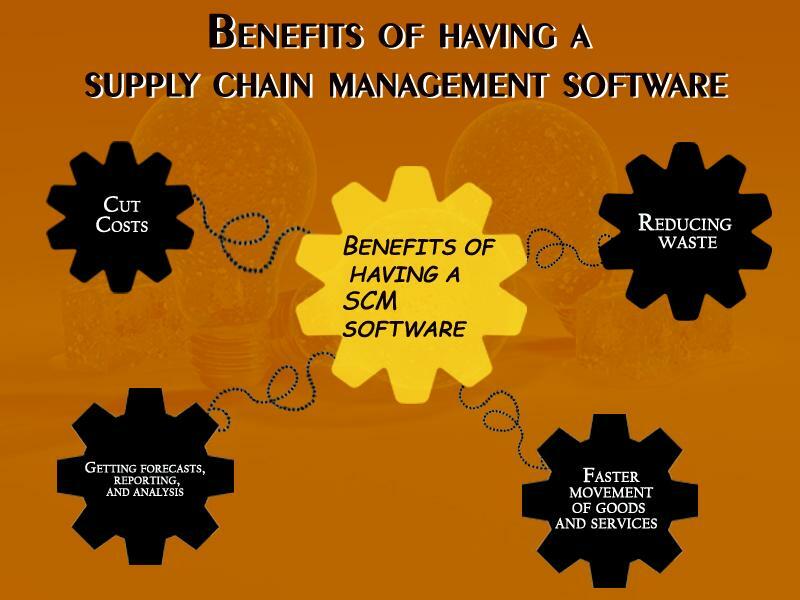 Why is a Supply Chain Management software essential for your organization? This is a guest post by Ashley Marsh. Ashley is a Senior- Content Writer at Maan Softwares Inc. She has been with this company for past four years. She is specialized in the technical writing genre especially in mobile development, web design, and, latest technologies. According to her, it has been a great exposure for her as each day the technology is updating itself resulting in new ideas that keep her fresh daily. If you have a business, essentially a manufacturing one, then managing your suppliers and orders is much of a challenge. Services have fewer inputs but then you require to manage them as well. Supply chain management is the solution to this problem. We can use supply chain management for both products and services. So, what exactly is a supply chain? A supply chain consists all the activities that take place from availing the services of the suppliers to making your product or service available to the customers. Typically, the suppliers, producers, distributors, wholesaler, retailers, and consumers are all a part of the supply chain. The supply chain management(SCM) consists of managing the inventory of raw materials, work in progress and finished goods from the time they are obtained or produced to the time they are used up or consumed. This is basically known as Logistics. Besides materials, supply chain management is also concerned the management of information and finances along the supply chain. Logistics is thus a subset of supply chain management. Information flow may consist of the information regarding order status like pending or delivered. Financial information to be controlled or tracked through the supply management system may be credit terms, payment related information, consignment or ownership information and more. Service chain management is concerned with providing support activities to the complete service. The main aim of supply chain management is to lower the cost of efficient inventory control and reducing operational costs. This not only gives you a competitive advantage but also helps in retaining your customers by providing them efficient service. SCM is also required to speed up your procurement and delivery processes. Some software may also contain certain forecasting and analysis features. Apart from this, supply chain management software may also contain modules for managing the finances and bookkeeping. Several organizations also provide cloud-based services. Many major companies like SAP, Oracle, IBM, Infor and others provide supply chain management software. ERP stands for Enterprise Resource Planning software. ERP is an elaborate software generally providing all the facets of a business like planning, purchasing, inventory, marketing, sales, finance and human resources etc. all clubbed on a single platform. 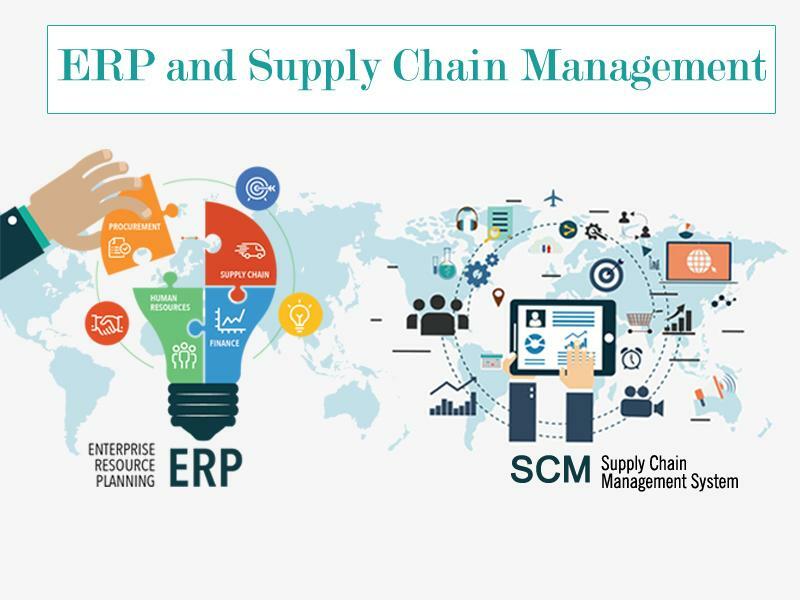 Many companies have integrated their supply chain management system with their ERP which provides better opportunities for growing their business. They can better manage their various processes and provide customer satisfaction and retention. The first step in implementing a supply chain management software is including the people who would be directly affected by the software in the planning phase. It is essential to know their requirements up front so that the software may take care of them. Next step is to appropriately schedule the various phases so that they can be completed in a timely fashion. A phased development process works the bests and gradually builds your ROI. You can also choose between a cloud or on-premises solution in case of some software. While the cloud-based solution is faster and requires lower initial investment, you can go for an on-premises solution if you have the required in-house competencies to manage the software. While the large-scale enterprises have the resources to invest in a Supply Chain Management software, for the SMEs it is much of a challenge. A large organization may have a dedicated team for SCM while in SMEs the managers have to multitask and also take care of supply chain management functions. SMEs also have a lesser budget than a large scale organization. The SMEs operate on a much smaller scale than large organization. So, the supply chain management system is less elaborate than that of larger companies who have to manage a large number of suppliers, distributors, wholesalers, and retailers. As such, the supply chain management software for SMEs is designed to work with a lesser number of all namely suppliers, distributors, wholesalers and retailers. Despite all the challenges, even small and medium businesses can benefit from implementing supply chain management software. Today most of the businesses including small business are online or are planning to go online. This means they would be dealing with international clients and suppliers as well. In such a scenario, supply chain management will prove to be very beneficial to manage shipping schedules and controlling inventory even of international transactions. It is very important for the software to be customizable in order to meet your business needs. For this, it is very important that you know your requirements well. An out of the box solution might not always suffice. The software you choose must work well with your existing software and require minimal or no changes. Choose a vendor who is reliable and will be able to provide you long-term service. The software you choose must be intuitive and well within your reach. Supply chain management software is meant to take care of everything from ‘farm to fork’. To automate all processes from order taking to delivery, this software need to integrate all systems used by retailers. Shopping cart integration is among the biggest pain points for enterprises, due to the high technological complexity. Setting up data exchange and synchronization between different systems involves tons of tech work, and so does their maintenance. That is why many companies choose to entrust shopping cart integration to professionals. As a result, they save time, money, efforts and get more qualitative and secure connection with shopping carts. API2Cart provides a single API to work with 30 shopping carts and marketplaces. Our detailed documentation makes API utilizing easy and a tech-savvy support team is always ready to get you informed. In case you are interested in integrating with API2Cart, schedule a call with our expert or just try how API2Cart would work for your business right away.